Following up Ochi Karin’s birthday from May 31st, Iketeru Hearts‘s leader Nijika also celebrated her 17th birthday at the Live House Hearts in Nishi-Kawaguchi, on June 9th 2018. Fans of course were there, wearing a customized T-shirt for the occasion. The girls showed up on stage while the sweet tones of their first single “Let’s Stand Up!” resonated in the background. The first MC of the night was the moment for all the members to address an emotional message to their dear leader. “Otome Gokoro” and “Rosetta Stone” followed up and the spirits kept on going up until Nijika ended up alone on stage for her much-awaited solo part! Nijika is well-known to be a huge fan of Hello! 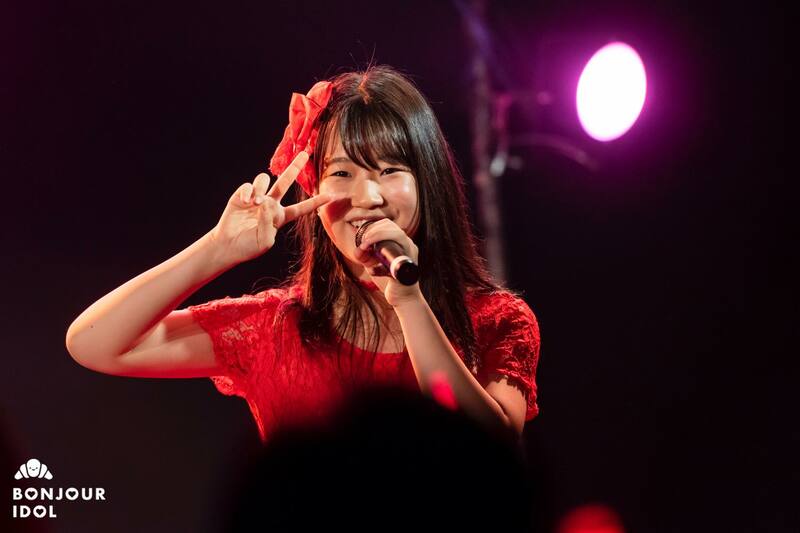 Project groups, so the audience was not surprised to hear Fujimoto Miki’s legendary pop tune “Romantic Ukare Mode”. Nicely covered by the star of the night, Nijika was able to showcase her very strong vocals with a solid performance, between nostalgia and passion. Uchida Kotone, the group’s sub-leader, joined her on stage to sing Morning Musume’s “Summer Night Town”. We could witness the chemistry between the two members, as their friendship has been undeniably strong since the very beginning. In a retro atmosphere, fans had a field day during the last song of the birthday corner with Morning Musume’s “The☆Peace”, which all the members sang along in high spirits! 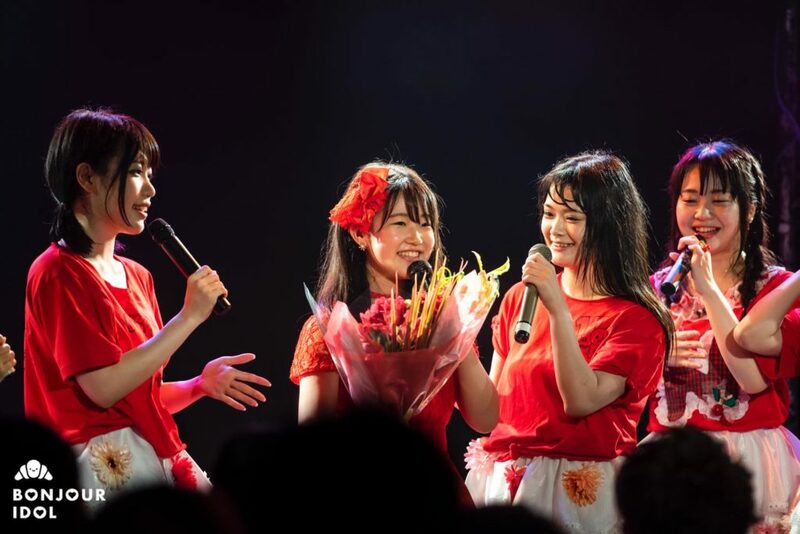 When Kotone handed Nijika a bouquet of red roses, honoring her official color, the birthday girl spoke a few words and thanked the fans who attended the show. She expressed her love towards the group, a group she dearly loves from the bottom of her heart. She also mentioned that she was extremely happy to be able to sing this last song with all the members. The concert went on with “Kibou no Chizu”, “Karma Stripe” and “Lumica Jane” which gave way to the ENCORE, energetically punctuated by some passionate “NIJIKA” shouts. The 11 comrades came back on stage to perform “LOVE♡LOVE♡LOVE”, the theme song for their latest nationwide tour, and the symbol of a very important step for Iketeru Hearts. This was how Iketeru Hearts’ Nijika’s 17th birthday concert ended! The show confirmed again a very strong group unity, just like Nijika who, with her perseverance and her smile, leads Iketeru Hearts with an iron fist!